GetDivorcePapers.com provides professionally completed, 100% court-approval, money-back guaranteed Kansas divorce forms. Just create an account, complete the interview, and file for divorce. Our case managers do all the work for you, and send the completed Kansas divorce forms when they are ready to be filed. 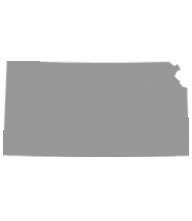 State of Kansas requires either of two spouses to be the resident of this state for 2 months before filing the case. Divorce papers can be submitted into the county of any of two parties. Irreparable breakage in the relationship. Some sort of mental sickness. Dissatisfaction and disloyalty in the terms. Total time span a child has spent without either of parents. Free will of the child. Desire shown by the parents. Adaptability in the child to adjust in new environment. Association of the child with other family members and mates. Any symptoms of domestic violence. Extent to which each parent lets the child meet with other parent freely. Whatever the property is held by either of the spouse, court in Kansas divides all the property equally between the two members. This property may include the joint property acquired by the couple as well as property purchased during the marriage. It may also include the separate property of the spouses, their gifts and inheritances. However, state may give all the property to one of the spouses and provide the other with an equal amount of money. Value of properties, duration that marriage lasted for, how property was acquired, and age of both spouses turn out to be determinants for decision of property division. Earning capability of spouses as well as tax liability on the spouses also become focal points for the courts. Either of the spouses may be granted with the spousal support that is calculated without considering the reason of divorce. This can be paid for a period of 121 months. Upon its maturity, beneficiary can extend its time period to the same limit again. Financial strength of the child. Financial needs and obligations of both the parents. This child support may be paid through a trustee or the clerk of court. Courts in Kansas take 60 days in declaring the final decision for the divorce. Meanwhile, it may refer the mediation for the reconciliation of the family. Request for the mediation can also be presented by the spouses themselves. There is no need of a lawyer when applying for divorce in the state of Kansas. A divorce case which is filed without any help of an attorney in any of the states is known as Pro Se Divorce. Literally, Pro Se is a Latin phrase and it means "on her or his own". Process of getting the divorce without the help of lawyer may vary from one State to another. These types of divorces are perfectly legal and enforceable in Kansas, and are actually very convenient. Usually, once settlements have been made regarding property distribution and custody matters among the spouses in case of a mutual divorce, Pro Se Divorces are filed.